Traditionally devoted to internal security and relying on the United States for protection from threats, the Armed Forces of the Philippines (AFP) are undergoing a deep transformation. Insurgency remains a problem, while maritime disputes with the People’s Republic of China (PRC) have become Manila’s top national security concern. 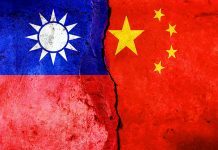 The country’s grand strategy to address concern involving the PRC employs a three-pronged approach involving rearmament, tighter links with Washington, Tokyo, and other Asia-Pacific democracies plus Vietnam, and international arbitration. This latter approach has seen the country bring a case against the PRC under the terms of the United Nations Convention on the Law of the Sea (UNCLOS) at the Permanent Court of Arbitration (PCA) in the Hague, the Netherlands. The Philippines government argued that the PRC’s so-called ‘Nine Dash Line’, which demarcates Beijing’s maritime and territorial claims in the South China Sea, violated the stipulations of the UNCLOS regarding Exclusive Economic Zone (EEZ) agreements, and territorial waters. 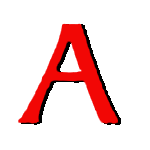 The PRC refused to participate in the arbitration, arguing that the Philippines had agreed to solve such disputes bilaterally, in particular through the signature of both nations to the 2002 Conduct of Parties in the South China Sea agreement concluded between the Association of South East Asian Nations, of which the Philippines is a member, and the PRC. On 12 July, the PCA issued its ruling which argued that the PRC had breached international law, and could not interfere with fishing rights which the Philippines enjoys at Scarborough Shoal (claimed by Taiwan and the PRC), and cannot exercise EEZ rights within 200 nautical miles/nm (370.4 kilometres/km), of Mischief Reef and Thomas Shoal in the disputed Spratly Islands in the South China Sea (all, or parts of, the islands are also claimed by Brunei-Darussalam, the PRC, Malaysia, the Philippines, Taiwan and Vietnam). Under the terms of the UNCLOS, an EEZ can stretch 200 miles from a nation’s coastline. Perhaps as a reflection of the PRC’s growing strategic posture in the East and South China Seas, the United States is returning to the Philippines after 25 years. In 1991, the government of the Philippines requested the withdrawal of all permanent US military basing in the country following a vote in the Philippines Senate to this effect. However, in April 2014, the administration of President Barack Obama and his counterpart President Benigno Aquino signed the Enhanced Defense Cooperation Agreement (EDCA) granting the US military access to five bases, and allowing rotational deployments rather than a permanent US military presence, while Japan moves from providing equipment and training to the coastguard to a much wider and deeper defence relationship. The Philippines signed a defence equipment transfer agreement with Japan in February 2016, a first both for Manila and Tokyo, paving the way for much closer cooperation, and providing hard evidence of Japan’s changing defence posture vis-à-vis the PRC. In November 2015, local media reports stated that the two countries had discussed the supply by Japan of Lockheed Martin P-3C Orion and Beechcraft TC-90 King Air maritime patrol aircraft. The Philippines must prepare not only for conventional conflict, but also for an escalation of the Moro conflict which pits the country’s armed forces against separatist and Islamist organisations operating on the island of Mindanao in the south of the archipelago. Finally, given the recent election of President Rodrigo Duterte, whom some observers see as ‘soft’ on the PRC, there is a measure of uncertainty on the political direction of the Philippines’ military modernisation efforts. Mr. Duterte has proposed the reopening of direct talks with Beijing to address existential maritime and territorial disputes, and the joint development of natural resources by the two countries in contested waters in the East and South China Seas. Interestingly, despite the new president’s tough law and order stance, which earned him the nickname of ‘Duterte Harry’ while mayor of Davao City, the largest conurbation in Mindanao, in reference to Inspector ‘Dirty’ Harry Callahan, played by Clint Eastwood in the 1971 thriller Dirty Harry. While not as attractive to the foreign media as his crime buster image, we should remember that Mr. Duterte, who is the country’s first head of state from Mindanao, has been known for his inclusive approach to religious and ethnic minorities. On 25 July 2016 he announced a unilateral ceasefire with the CPP/NPA (Communist Party of the Philippines/New People’s Army), to try to stem an insurgency which has involved much for the archipelago since 1971. 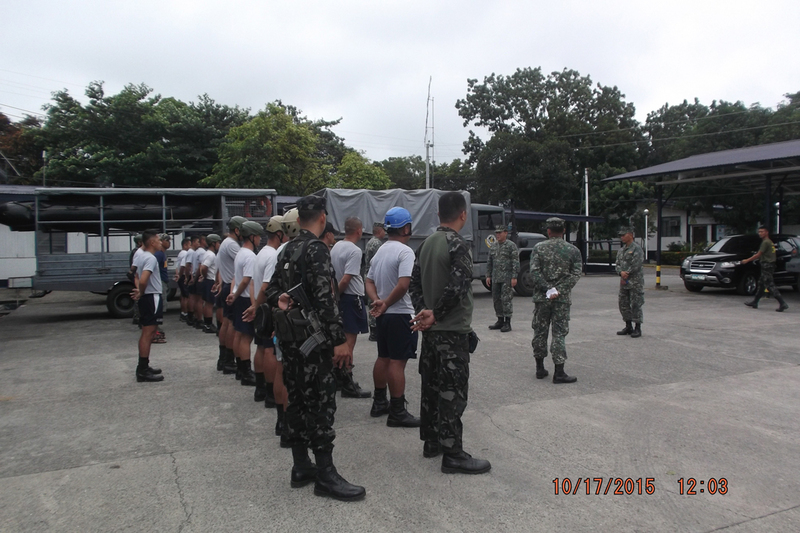 The Philippines’ military encompass 220000 active and 430000 reserve personnel. Military spending is widely seen as low, standing at $3.1 billion for 2014, but is rising: From 1.1 percent of the GDP (Gross Domestic Product) in 2014, it increased to 1.3 percent for 2015, according to the Stockholm International Peace Research Institute, a think tank. While this seems a significant increase, it took the 2015 defence budget to $3.8 billion, absorbing 6.6 percent of total government spending. Concerning the 2017 budget proposal, Benjamin Diokno, the secretary of budget and management of the Philippines which supervises government spending, pointed out on 14 July 2016 that any further budget increases in 2017 will focus on military wages and pensions rather than hardware acquisition. 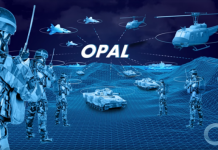 With regard to the defence industry, the country lacks a strong manufacturing base, with companies mostly restricting themselves to small arms, mortars, and ammunition, plus items such as tactical radios. Existing domestic players include small arms and ammunition manufacturers Government Arsenal (state-owned), United Defence Manufacturing Corporation which supplies rifles and the Arms Corporation of the Philippines (Armscor), plus the state-owned Philippine Aerospace Defence Company (PADC) which can perform limited aircraft maintenance, and its private sector counterpart Lufthansa Technik Philippines. Shipyards to have recently built naval vessels include Propmech and the Philippine Iron Construction and Marine Works. The Philippine Navy (Hukbong Dagat ng Pilipinas/HDP) and Coast Guard (Tanod Baybayin ng Pilipinas/TBP) are arguably too weak to effectively defend Manila’s claims in the South China Sea (see above), and prevent insurgents and criminals from roaming the country’s waters, despite modernisation and acquisition plans under Mr. Duterte’s predecessor President Aquino. In 2015, Armando J. Heredia, a Filipino naval affairs observer, wrote about “several stalled key acquisitions that were to be delivered during his term, including the on-again, off-again frigate programme, the long-range maritime patrol aircraft and the air defence radar network.” When asked about these initiatives for this article, he said that “Under the new Duterte Administration, external defence has further taken a back seat to funding and procurement priorities.” With a stated shift to internal security operations (initiatives such as the) Frigate Acquisition Programme have been put on hold. 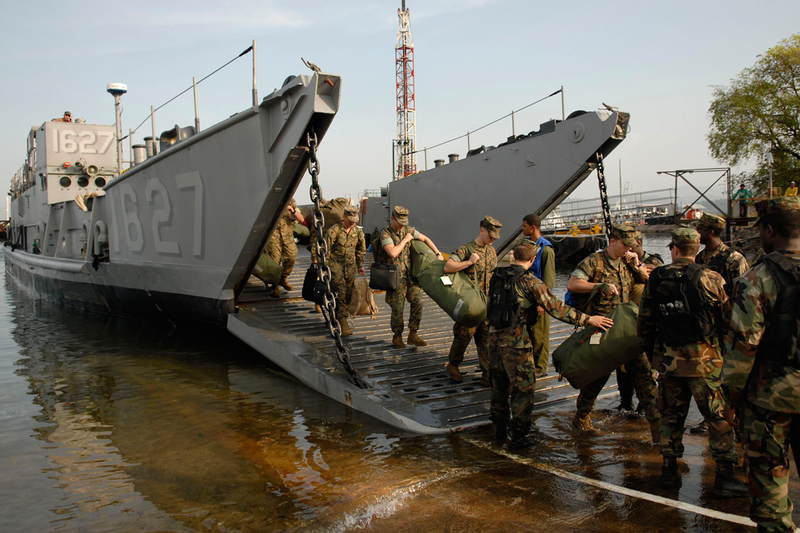 The Navy’s current order of battle includes some 120 vessels, among them three old frigates and eleven corvettes, the remainder are mostly coastal patrol boats and fast attack craft. The HDP is the only regional navy without any anti-submarine capability. In August 2015, Australia provided two Heavy Landing Craft (LCH) vessels, improving the navy’s ability to move troops and provide logistical assistance during natural disasters, while in May 2016 Indonesia delivered the BRP Tarlac, first of two amphibious assault ships, built by Indonesia’s PT PAL shipyard, with a second being under construction. The Republic of Korea has agreed to provide a ‘Pohang’ class corvette to the HDP, expected to be delivered by the end of 2016. The above mentioned frigates are former US Coast Guard ‘Hamilton’ class cutters, with decades of service requiring intensive maintenance. 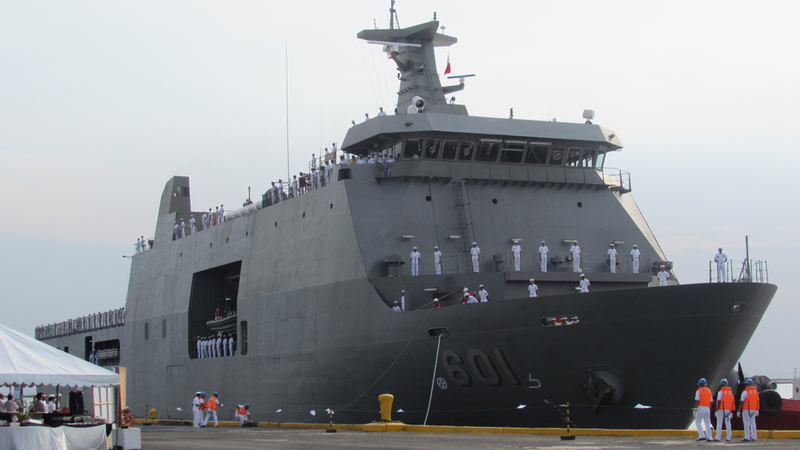 The Philippines formally commissioned the third, the 49-year old BRP Andres Bonifacio in July 2016. She is currently being refitted and is expected to reach the Philippines in October 2016. Equipped with an OTO Melara 76mm main armament, in line with her two predecessors, she is expected to be upgraded with two BAE Systems’ Mk.38 Mod.2s auto-cannons equipped with a laser range-finder and infrared optronics. Her flight deck may become home to an AgustaWestland/Leonardo AW-109E naval support helicopter, like her sisters. However, the US will remove her Raytheon Phalanx close-in weapons system prior to delivery and she can carry no anti-ship missiles. While unfit for intensive naval combat, Beijing mostly relies on maritime militia units to encroach on the Philippines’ territorial waters, thus making these three old ships a valuable addition to the HDP’s order of battle short of an actual outbreak of conventional hostilities. The light frigate programme to two ships is currently in the post qualification phase, its overall multi-year budget being $383 million. In July 2016 India’s state-owned Garden Reach Shipbuilders and Engineers (GRSE), which had emerged as the winner of the initial contract for these ships, was disqualified for financial reasons. This has re-opened the door to the 1400-ton ‘Incheon’ class design built by the Republic of Korea’s Hyundai and STX which came second in the original competition. Tender stipulations state that the ships should displace at least 2000 tons and be 92 metres (301 feet) long, with the Philippines building further examples domestically. 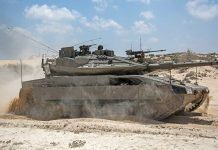 In February 2016 it was announced that Israel’s Rafael would be supplying three remote-controlled Mini Typhoon 12.7mm remote weapons system mounts, plus an unspecified number of Spike-ER surface-to-surface missile launchers and rounds to the HDP, for the three ‘Mk.III’ class attack craft to be built by a joint venture involving the Philippines’ Propmech Corporation and Taiwan’s Lung Teh Shipbuilding Corporation. The contract is worth $12 million. In April, the United States delivered two Lockheed Martin C-130T turboprop freighters configured for in-flight refuelling to the Hukbong Himpapawid ng Pilipinas (Philippines Air Force/HHP), with additional deliveries of these aircraft expected in 2017. 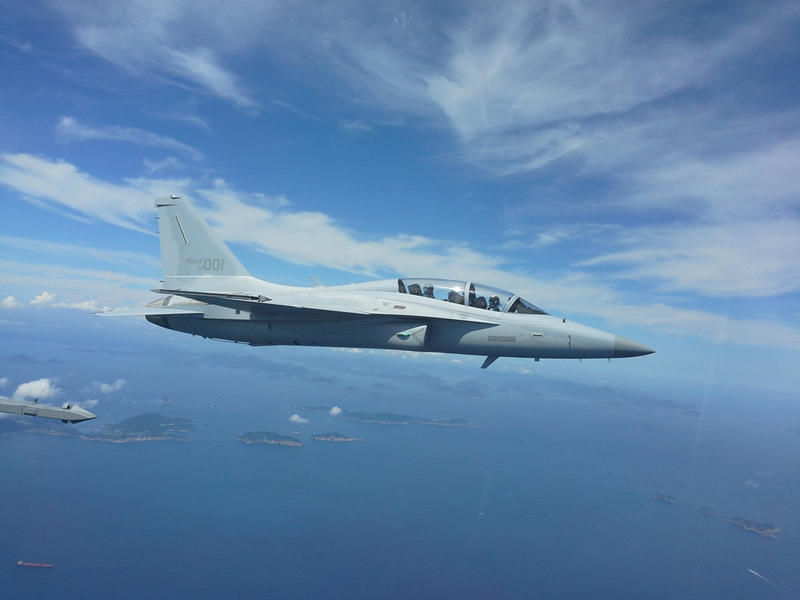 Meanwhile, the air force has purchased twelve KAI (Korea Aerospace Industries) FA-50 fighters; the first two were received in November 2015, with the remaining ten to be delivered over two years. These aircraft are meant to serve as a stop-gap measure until Manila can procure more advanced fighters. 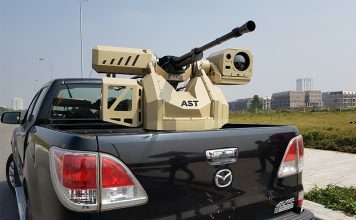 While most are expected to serve as trainers, HHP sources have told AMR that up to four could be equipped with advanced radar and medium-range air-to-air missiles. In June 2016, President-elect Duterte criticised this acquisition as a “waste of money” as they were being used just “for ceremonies”, adding that the two planes could not be employed to fight insurgents, and were not enough to “challenge China”. 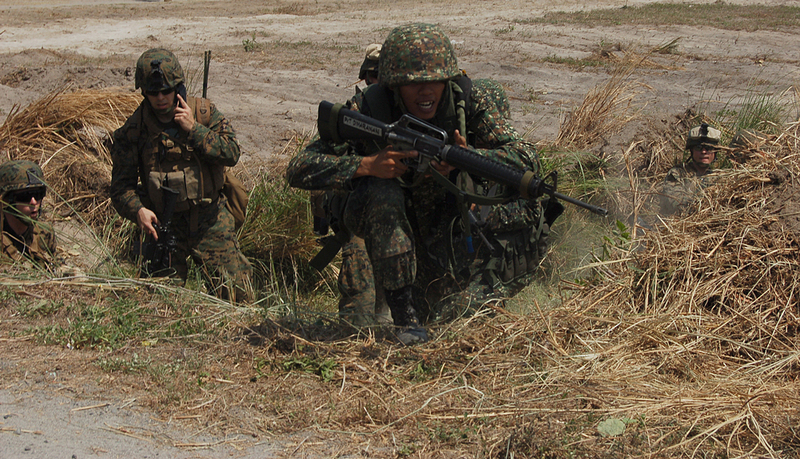 During the Cold War, with the United States in charge of external security, the Philippines’ army focused on counterinsurgency, thus falling behind on conventional capabilities. Current tensions with the PRC and continuing domestic insurgencies (see above) have prompted a spike in defence spending, but ground forces have only received some ten percent of the extra funds. The army’s current order of battle includes some 45 tanks, 450 armoured personnel carriers and 270 towed artillery pieces. As in the Navy’s case, recent rearmament has mostly consisted of transfers of second-hand hardware, with Israel providing 28 and the United States 114 BAE Systems M-113A2 armoured personnel carriers (APCs) in 2015. Manila has yet to establish a cyber warfare command, although the Agence France Presse news agency announced plans for a cyber operations centre to this end in 2012. Concerning space, the Philippines and Japan are cooperating in some non-military projects which may nevertheless end up having dual-purpose applications. In April 2016, JAXA (Japan Aerospace Exploration Agency) deployed the Diwata-1, the Philippines’ first micro-satellite from the International Space Station’s Japanese Experiment Module (JEM). Expected to stay in orbit for some 20 months, it was developed by a team of Filipino engineers and scientists under Japanese supervision. A second micro-satellite, Diwata-2, is expected to follow in 2017 and the cost the development of these microsatellites is $870,000. The Philippines currently stand at a crossroads, torn between the demands of internal security and the need to deploy the necessary sea power to prevent further encroachment of its interests in the South China Sea by the PRC. The coming months will be crucial to determine whether Manila can translate her recent legal victory in the South China Sea arbitration case into a different reality on the ground, and what hardware will be at the forefront of rearmament. In this regard, it will be interesting to see whether shore-launched anti-ship missiles, sea mines, and other asymmetrical systems take the lead in confronting the PRC’s superior naval power, and how an outnumbered TBP chooses to deal with trawlers full of militias operating in the South China Sea thought to be sponsored by Beijing. 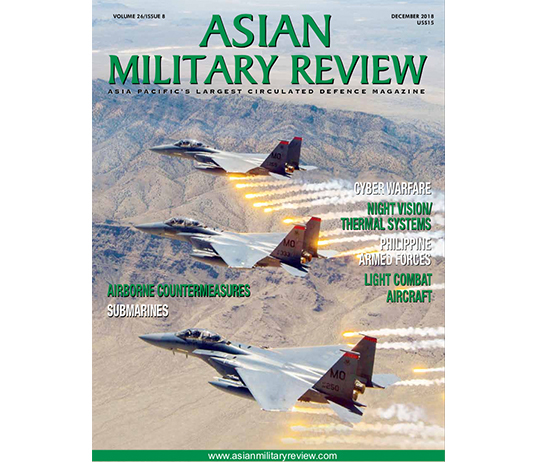 In terms of maritime awareness, cooperation with Japan seems to be key to this vital area, particularly in terms of air assets, while the long-held aspiration of greater domestic defence industry remains, for the time being, mostly a dream.